This means there will obviously be less posts. I mean I guess this past year I wasn't really doing daily posts but only about 1-3 per week. Though this semester should hopefully have more posts since of my fairly easier courses compared to second semester. But honestly let's not worry about that now. Anyways let's get on with today's post because it is already almost 9:00 at night . 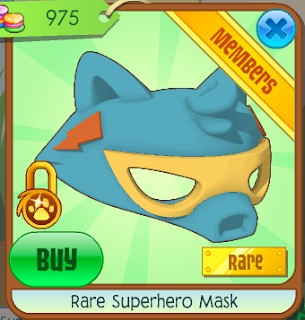 Today we have the rare super hero mask sold in jam mart clothing for 975 gems! I actually really like this item. It kinda seems more unique I guess, if that is the right word? The colours are also nice and a good combination I find. Though the price could be lowered a couple hundred. 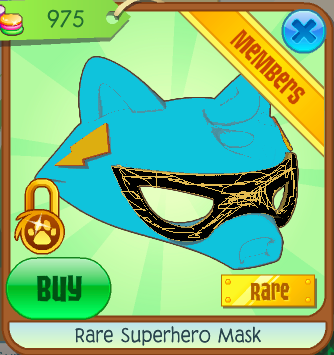 So I made the face a bit more of a brighter blue. The orange lightning strikes got turned into a yellow. The mask part was changed to black and has a cool design added! So let's check out the results for the polls! 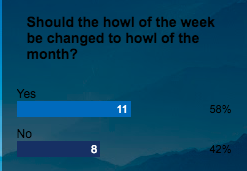 Most people voted the top answer with 7 votes. 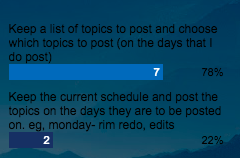 So I will sometime soon make a list of all the topics that we have had on the blog, and I will choose which ones on the days that I do post. I will also add new ones too. This will kinda be fun for a change actually. 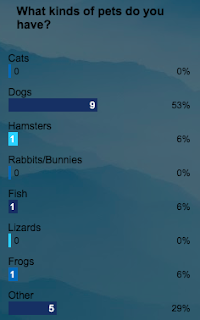 Turns out most people have dogs. Apparently no one cats, rabbits or bunnies, and lizards. 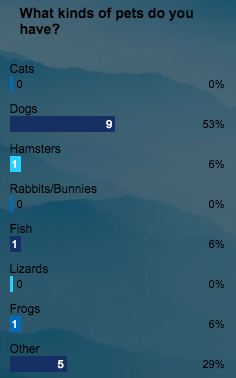 A lot of people have other, I wonder what the other animals are. I will have to add some new polls soon and work on this stuff for the blog, when I get a chance hopefully sometime this week? 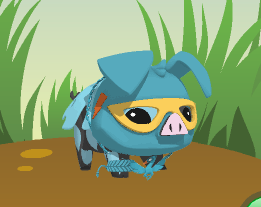 Also please try to enter the plushie challenge. I have been holding these entries for about a month now and still have only received two entries. Now with school starting for everyone though, people probably won't be able to do it much which is why I wanted to the challenge in August. But of course I only got 2 entries so please enter! Cool re-do, good job making that... Lol. Lol also I haven't done any shopping for school and my hair's weird, Imma just walk in with all my stuff from last year and hope it works out lol. I like the concept of your rim redo version better. Rip school. Woah, the RIM was good this time :o I like your redo better then the actual thing!